I don’t care how many people are talking about a book. I don’t care about five-star reviews. I don’t care if I love the blurbs, or how badly I’m dying for a great romance read—I won’t buy it. She must be spoiled for choice. Sure, a great cover will draw me to look at a book and consider buying it. And, yes, an unattractive cover will cause me to click away. But if I already know I want to read the book—great blurb, great reviews and word of mouth, great Look Inside—will I refuse to read it because of a poor cover? No way! I don’t find enough books to suit me as it is. If I turned away the promising ones because of a quirk such as hers (“I dislike full-face images of humans on covers, no matter…”), when would I ever find anything to read? yeah, I agree. I am easily turned off by people on covers but if I hear good things about it I’ll gonna look past it. I’m too picky about what’s inside to be that picky about covers. That said, if I’m scrolling Amazon just looking for something I will most likely pass over people covers without even thinking about it. Actually, graphic covers are easy, and lend themselves very well to stock art, like the graphics on the Divergent or Hunger Games series. It’s cheaper than an illustrator making a cover that includes a person, especially if that person is in period-specific clothing. Illustrating someone in a spacesuit fighting a bug-eyed-monster on a planet with three moons will cost more than a generic spaceship or raygun on the cover. I’ve long-suspected that those symbolic covers are a cost-saving measure, for publishers that want to lay-off illustrators, or not pay them. Also, I prefer people 🙂 Symbols and scenery are often meaningless, and don’t do anything at all to draw me in. It’s easy for such covers to fail to communicate their genre in a way that a space warrior fighting a BEM doesn’t. The titles and blurbs do the heavy lifting in those cases; I prefer when all three can stand alone. I certainly don’t share her prejudice against people on the cover. In fact, there is no particular type of cover that I deplore categorically, other than those that are poorly done. 😉 But even a poorly done cover won’t put me off a book I like, although it might prevent me from realizing that said book is one I might like. It seems my comment is stuck; perhaps it’s the link I put in. Crossing fingers it doesn’t appear four or five times. At any rate, I agree with you. All I really want is a cover that doesn’t actively turn me off a book, and it’s going to need to be egregiously bad if I already know the author can write, or I happen to have read the blurb or a tag line and found myself intrigued. …as long as it fits the specific story and hasn’t been done to death by lazy art departments. 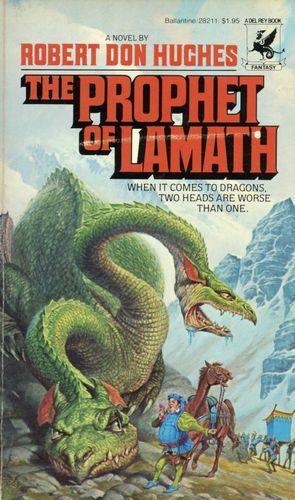 The main problem with generic covers is the missed opportunity to communicate something meaningful beyond “yes, it’s another SF story”, or “another fantasy about dragons”. 1- Two headed Dragon, one head aggressive, the other bored and confused; straight from the opening sequence. 2- A girl and her tank vs zombie hordes. Plus pink teddy bear. Clearly combat SF with a bit of attitude. Guns and Zombies. Again, straight from the story. If it’s not your stuff, you’ve been warned. Why commission a cover for a book and go generic? I see generic covers and my first thought is “nothing memorable inside?”. Everyone doesn’t do anything the same. The main piece of advice I give new writers (if asked) is to run from anyone who says there is only one way (theirs) to do something. It points to a certain rigidity of outlook. Take a look at her own covers. And what about biography covers? But how many more copies could be sold without fully visible cover models? I think the question is, how many readers who want to do self-inserts in their reading find it difficult to do so when they see an obvious contradiction on the cover? I gather readers of “Twilight” wanted to imagine themselves as Bella, and this is cited as the reason that she’s vaguely described in the story. If you know your readers want to imagine themselves as the character, then clearly you should use apples and feathers or whatever rather than a model who looks like Bella. Non-model covers can also be the way to go if you have a character who is supposed to be enchantingly, hauntingly beautiful (like the one guy Bella was into), but the model just looks generically good-looking. It’s the same conundrum with having actresses play Helen of Troy: if her face launched a thousand ships, but the actress who plays her looks too conventional, then it’s hard to sell people on the idea that her beauty will fuel a 10-year-old war. You might just use images of the ships on the cover of your book in that case. So: are you writing a genre where readers are more apt to insert themselves as the hero? Or are you in a genre where people are fine with the characters as themselves? That might be the key. I never wanted to be Granny Weatherwax, but I enjoy her as herself. I don’t picture her as myself, I picture her as her. Another example of overselling a “ptinciple”. As if one sizes fits all were real. what works for one genre/market/situation will totally thud in another. My own mild suggestion would be to read the story and see what image sticks with you. If nothing sticks, then maybe a generic symbol would be a fit representation. Or a cartoon. Lots of way to use imagery to sell if you actually stop to think about the story. I like faces and people in general on the covers. Every piece of literature, in whatever genre, is about people, not symbols. Every novel is a personal story. Why shouldn’t faces represent those stories? There is a current trend in romance covers to cut the heads off. I dislike such headless covers. They seem like a mockery. That said, I also dislike photographic covers, both people and landscapes. I like covers created by artists, elaborate paintings specific to the story, not a photo of a generic model on a beach. But as Jamie mentioned above, such covers are more expensive than stock photos, which explains why the stock photos prevail in current book covers. I hope the trend will change soon. But…all three of Kilby Blades’ novels have people on the cover. Is this a case of do what I say, not what I do, or has her experience suggested she made the wrong choice and she wants to warn other writers? Chop off their heads, I say. Or turn them away. And no more 6-pack abs, please. Eight is the new six. On the other hand, I’m using a custom, photo-realistic computer simulation of an island in the 17th century. Go figure. Tastes and preferences vary. We are blessed to have people who can assure us strawberry is the best flavor of ice cream. This post did make me stop and think. In all honesty, I do pass by some books because of their covers. If the depiction is offensive in some way–woman in chains, for instance–it’s a definite no-no. I also bypass covers with bare male chests and no face. I wouldn’t buy a book whose cover featured a woman that way, so why objectify men? There are other types of covers I dislike but will give a chance, such as those that cut off people’s heads. Readers need to understand that for self-published authors and small publishers, commissioning a special photo shoot and/or painted image is VERY expensive. Buying stock photos is way cheaper and they can be used creatively. My favorite mystery series is Ellis Peters’ Brother Cadfael books. The current editions have symbols on the front, and that’s all. Who cares? I love the books. But you already know the books are good. Would the same apply to an unknown-to-you author? There are cases where symbols and cartoons are the best way to promote a book but they’re not as common as the books using those kinds of covers. A lot of times it’s just sheer lazyness and/or lack of commitment.